Citroën has revealed a daring new concept car with a strong and colourful identity – C-Aircross Concept. 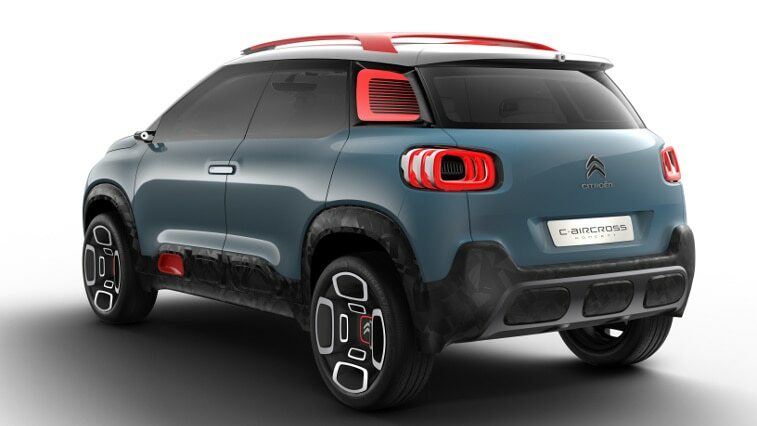 This interpretation of a compact SUV marks a new stage for Citroën in the deployment of its product strategy. With C-Aircross Concept’s internationally-oriented body style, the Citroën brand confirms its offensive in the SUV market – an offensive that began with the reveal of the Aircross Concept in 2015. • Design – The C-Aircross Concept marks its difference in the world of the SUV thanks to its strong, original and fresh design. Assertive in its appearance, the C-Aircross Concept boasts a unique balance between protection and the fluidity of its lines. The exterior immediately gives an impression of space on-board. Inside, the use of colour and specially chosen materials creates a modern and relaxed atmosphere, with an overall impression of minimalist style. • Comfort – A modern SUV, the front doors – and the rear-hinged doors at the back – open to reveal a spacious cabin, ensuring complete peace-of-mind for all occupants. The concept offers wide, quilt-effect seats and plenty of light from its large windows and panoramic sunroof. Thanks to the Citroën Advanced Comfort® programme, the concept’s technologies serve to enhance ease-of-use. For example: a colour head-up display, a single spoke steering wheel with intuitive controls, rear facing cameras and wireless induction charging for smartphones. Staunchly optimistic, C-Aircross Concept boasts an assertive and singular personality in the world of the SUV. 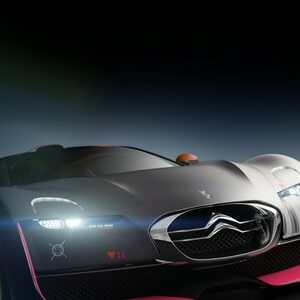 Its modern design offers the feeling of robustness and energy, along with an impressive, yet non-aggressive presence. The design is visually enhanced by the protective trim found on the lower parts of the body. The Citroën Style team has cleverly combined seamless, flowing lines with the features of an SUV, on a compact body (length: 4.15m, width: 1.74m, height: 1.63m). Based on the style markers featured on New C3, C-Aircross Concept contrasts smooth surfaces with bold graphic elements that are brought to life with splashes of colour. The blue body paint contrasts elegantly with Fluorescent Coral highlights, which bring out the fun side of this concept. The brightly coloured personalisation elements can be seen around the headlights, on the wheels, on the side guards and on the roof bars – which also incorporate LED lighting at the front. In terms of posture, C-Aircross Concept stands out with its short and raised bonnet, and its sturdy front end. Its assertive, reassuring lines and moulded panels further accentuate its strong identity. Always ready for adventure, C-Aircross Concept is equipped with front and rear protection shields with a glossy black finish, and wheel arch extensions with a ‘stealthy’ camouflage design. To further emphasise its go-anywhere nature, this new concept is equipped with large wheels featuring a unique design that suggest a raised driving position and off-road capabilities. C-Aircross Concept features ‘opposing opening doors’, including rear-hinged doors at the back for better accessibility, a design reminiscent of the Aircross and CXperience concepts. As with New C3, C-Aircross Concept benefits from the Citroën Advanced Comfort® programme. Designed as a cocoon and comfortable living space for its driver and passengers, the interior of C-Aircross Concept is equipped with a number of features that promote physical and mental well-being. As soon as you enter the car, you experience a sense of well-being, both visually and physically. 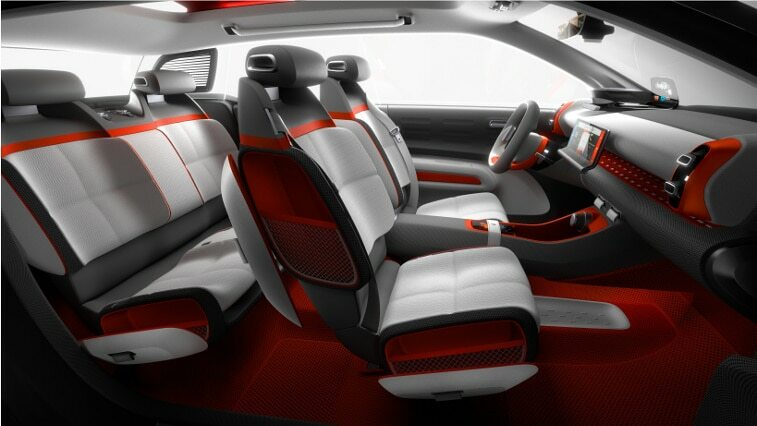 C-Aircross Concept offers an immediate feeling of comfort, with four contoured, enveloping seats. C-Aircross Concept is equipped with a smart and intuitive Human-Machine Interface. The driver and front passenger are able to control all of the main functions via the 12-inch central touchscreen. In order to encourage information sharing and discussion on-board, Citroën C-Aircross Concept gives passengers the opportunity to automatically synchronise all of their electronic devices via the Mirror Screen functionality. Mirror Screen connectivity is already available across the Citroën range. 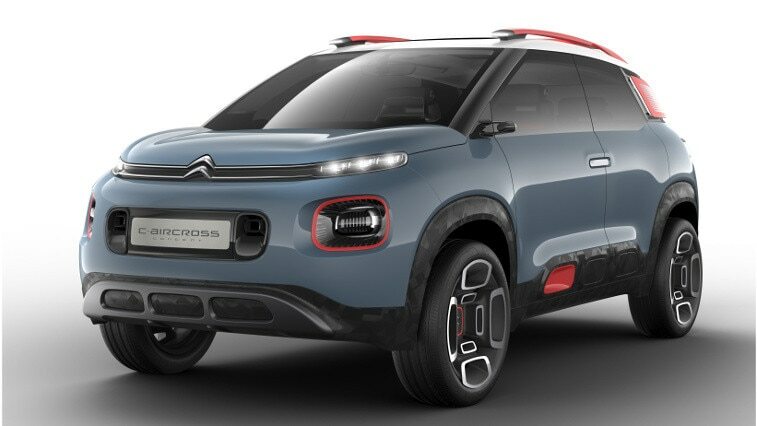 C-Aircross Concept also features ConnectedCAM Citroën™, the on-board HD camera that premiered as a world first on New Citroën C3.